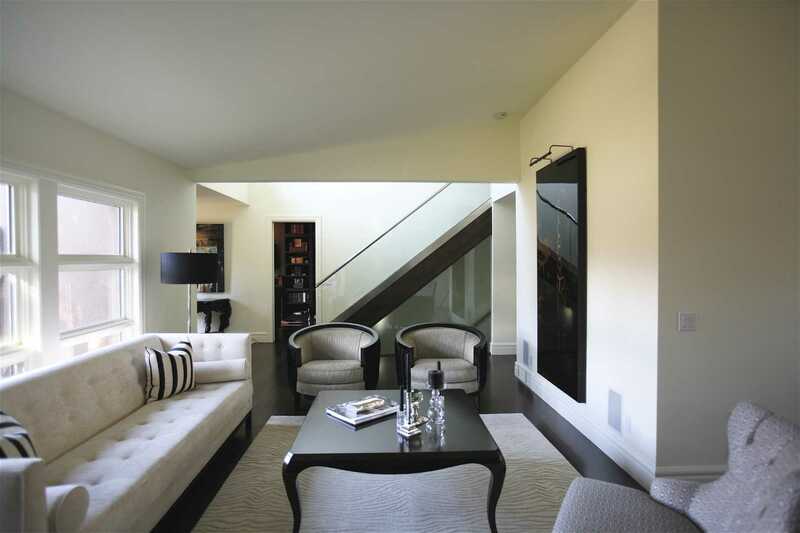 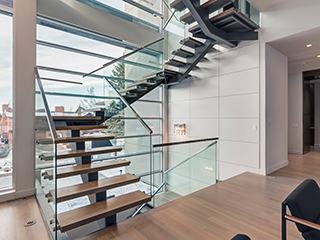 Interior glass handrial systems add the contemporary and high-tech many modern homeowers are seeking. 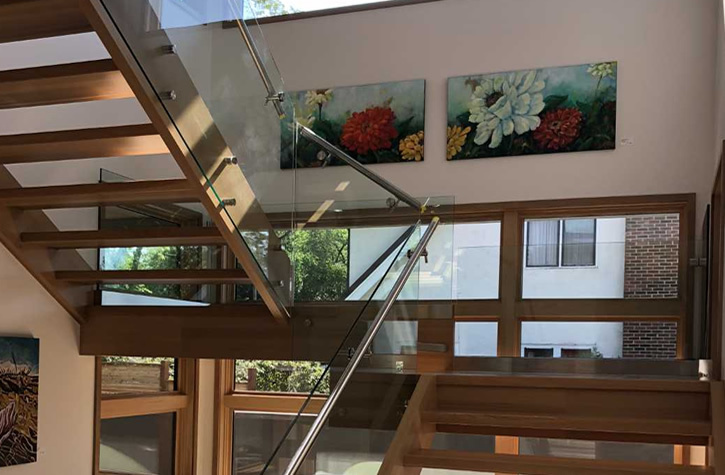 They are sure to open up any room immensly and will very easily transform your staircase in to an elegant focal point for your home. 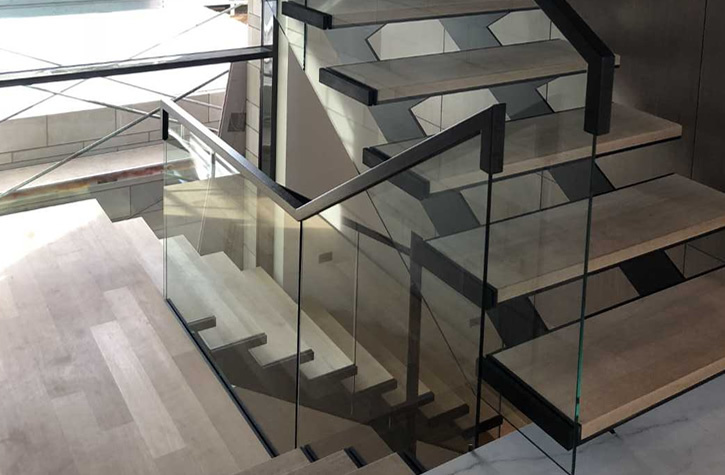 Many options exist for this application including a massive selection of hardware, variable glass thickness, pattern or etched glass, v-groove or bevel, and much more. 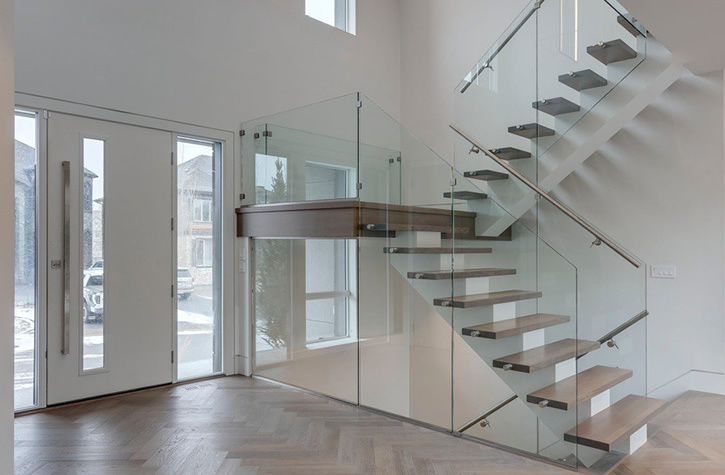 Our highly experieced glaziers will measure precisely alowing for a prefect custom fit that will align with all angles of your staircase. 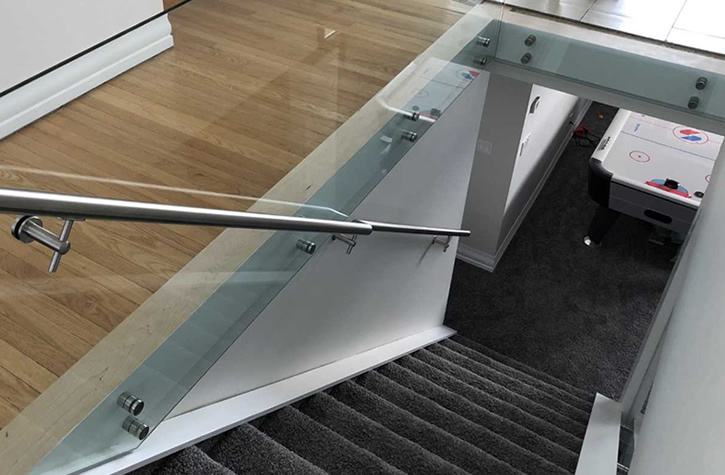 You can choose the have the glass recessing in to a wood cap and base or go for a floating effect with no header or footer. 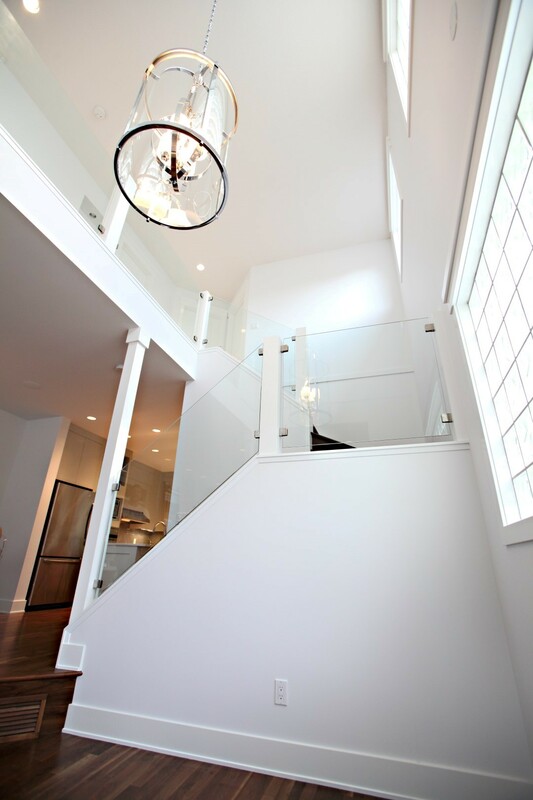 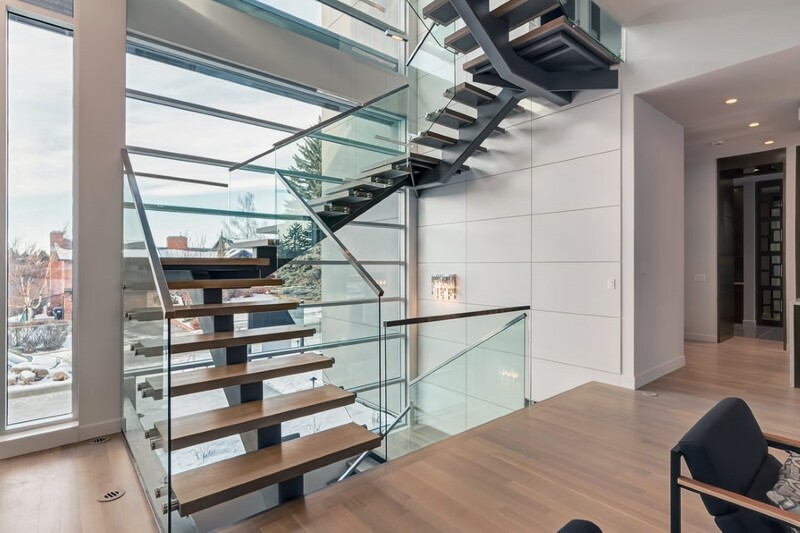 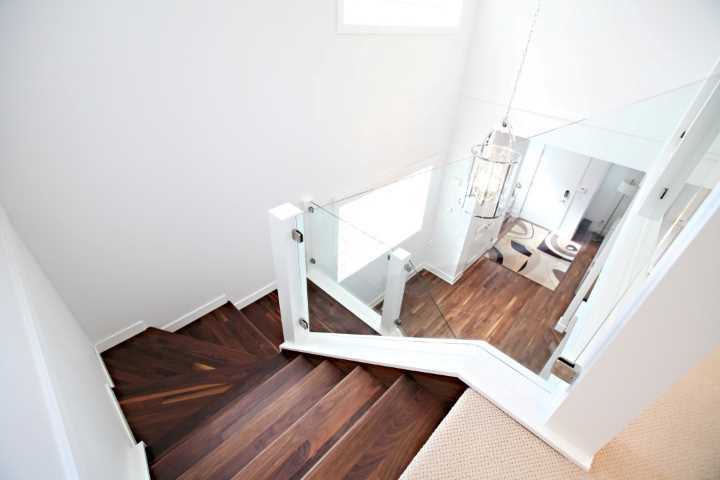 Our Calgary glass handrail specialists are eager to assist you with your next project so please contact us today. 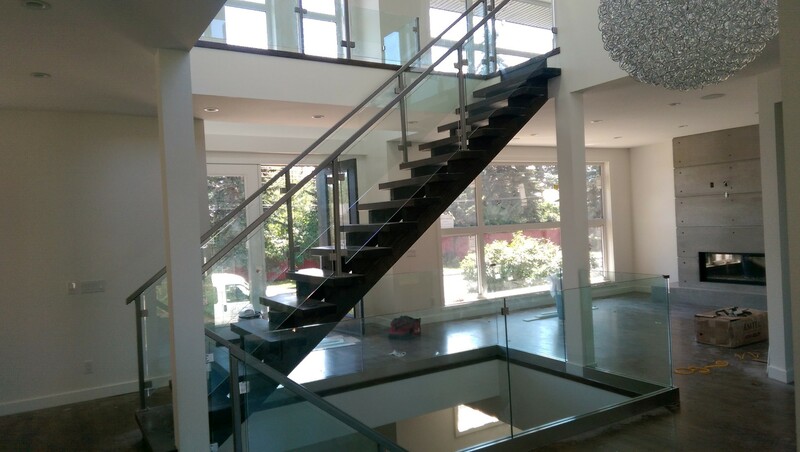 If you are looking for an outdoor railing that is going to add curb appeal and increase the value of your home or business, glass railings are the answer. 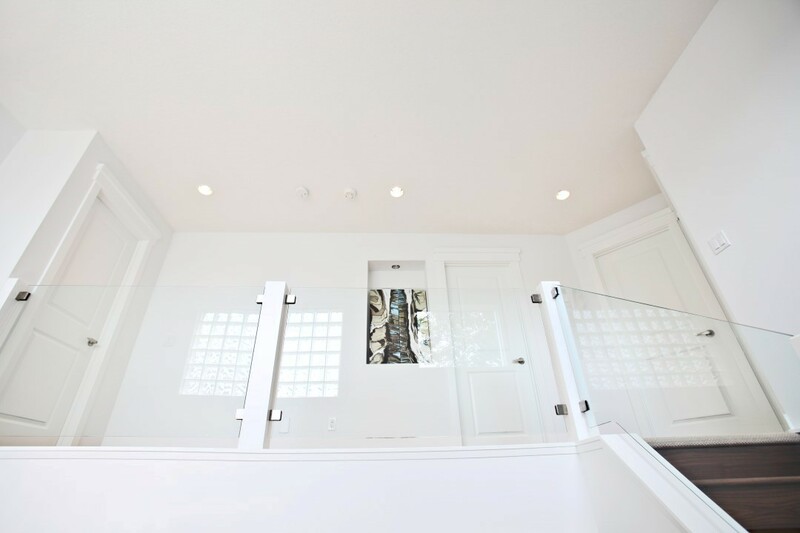 Not only will you get a unique open design, you will also receive the latest technology in aluminum alloys and exterior metal coatings, providing you the longest lasting finish in the industry. No matter what type of project you are working on, our glass railing systems will provide both style and security.